Creative Felt Sewing Kit from Violette Field Threads! 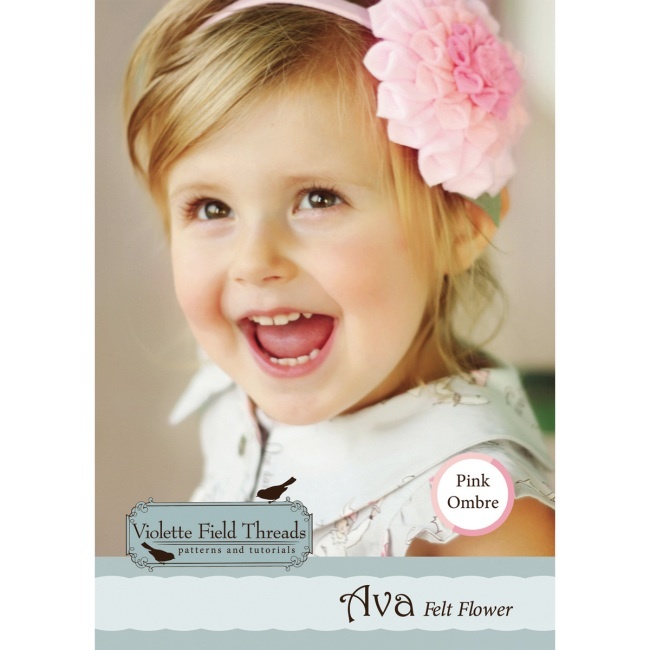 The Ava Pink Ombre Felt Flower Kit is a creative felt sewing kit from Violette Field Threads. Kit includes full size pattern pieces, woolfelt material in 3 shades of pink, elastic headband, and a 12 page tutorial booklet filled with detailed instructions & photos throughout. Materials to make one gorgeous felt flower headband are included in kit. Use the pattern pieces again & again to make additional felt flowers in a variety of coordinating colors. The step-by-step tutorial makes this an easy kit for beginners and fun for experienced crafters too!